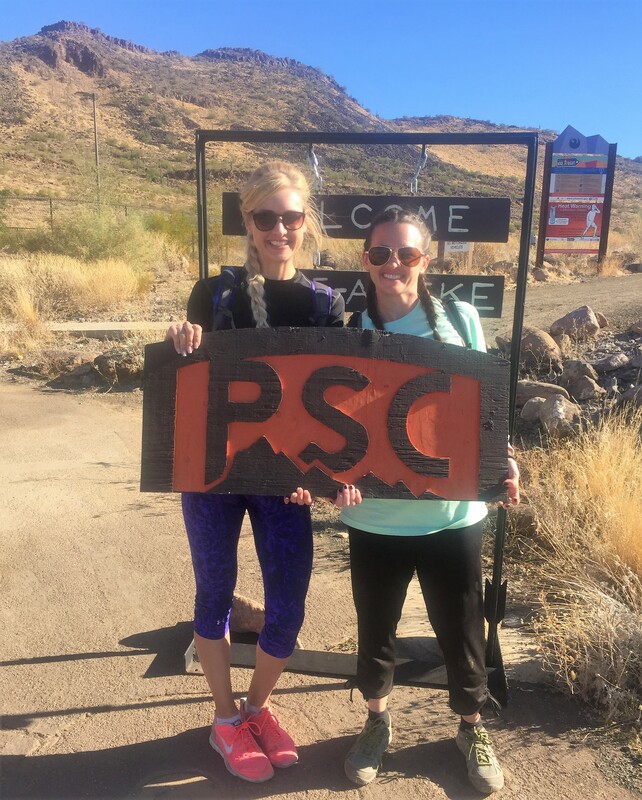 The Phoenix Summit Challenge (aka the PSC) is an epic annual hiking event that takes place in Phoenix. This challenge consists of taking on numerous summits in the Phoenix area. You can choose between either a 4, 5 or 7 summit challenge. The point of the competition is to see if you are able to hike all summits in one day and then afterwards there is a huge party to celebrate. This is a really fun event and will also test what you are made of! You must register for this competition (which will likely be the hardest part of this entire challenge). Typically registration will begin in August and it’s sold out within minutes. The day of the actual hike will take place in November. What I do, is put a reminder on my phone to check the website in July and will randomly remind myself to keep checking. Once they announce the registration date, I put that in my phone and plan on being on the site and ready to register at the exact time it opens. Once registered the preparation begins! Here are some great tips to get yourself ready for the challenge! Practice hiking these trails before the challenge. Depending on your hiking level you will want to work towards completing all the trails in one day. So start on the beginning trail that you choose when you registered and then move onto the other trails that are in your list order. Do strength training exercises. Hiking doesn’t just involve leg muscles, it involves all the muscles. So begin a strength training routine. Granted, don’t over push yourself or think you have to be look like Arnold Schwarzenegger but doing some push-ups, calf raises, sit ups and upper body exercises will help you and add to your endurance level. You will want to have a hydration pack, so if you don’t already have one, now is the time to invest in one. Make sure you are familiar with how your pack works and if it’s an older pack that you haven’t used in a while, make sure there are no leaks. Socks. You will want to either bring multiple pairs of socks or invest in purchasing hiking socks. In order to keep blisters away you want to try to keep your feet as dry as possible. An unexpected foot issue can totally ruin your hike, so make sure to take care of those feet, because they will be working hard for you. Water. You are going to need a lot of water if you are hiking all day. Since you are having to drive to all the summits, put a cooler in your car and bring a jug or two of water. This way you can easily refill your hydration pack between trails. Seeing as how this is an all day event and you are going to be doing some extreme hiking you need to ensure that you are replacing the energy that you are burning off. Granted, yes there is a party with food and booze but this doesn’t happen until afterwards. So bring some of your favorite treats and a lunch with you to last throughout the day while you are hiking. If you follow these suggestions you will be ready to rock the Phoenix Summit Challenge! It’s going to be a tough day that completely challenges your hiking ability but in the end it will be worth it!